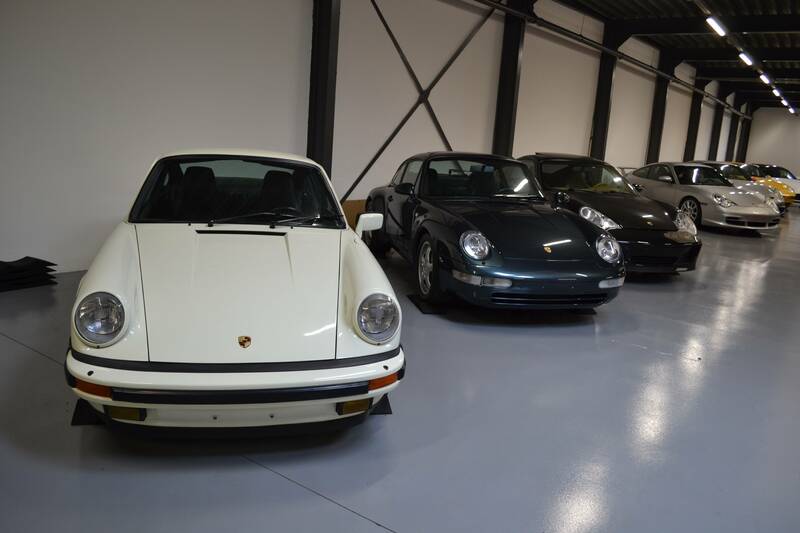 Only pristine 911s with pedigree at PCH Automotive! 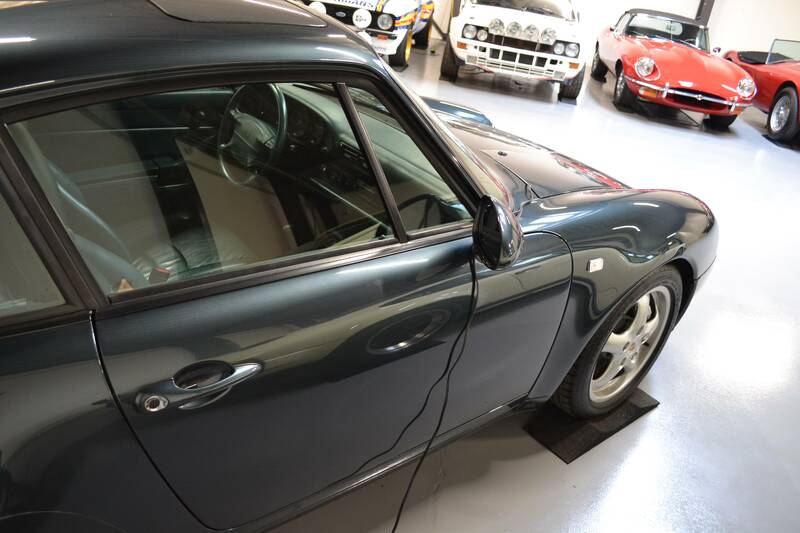 Waking up early on a Saturday morning has never been a quality of the 911 Vintage crew to be honest, yet this time was different as we were full of excitement to embark on our second dealer visit in our young existence. We were headed for Liége, a city by the river - la Meuse - known for its liveliness and passion. Liveliness and passion were not exactly what came to mind when we were ploughing through the rainy highway stretch early August (where has the summer gone? ), yet upon arrival that was easily forgotten as we found ourselves in front of a large gate sealed shut amidst what could best be described as a suburban area of any major city. All the more exciting as to what we would find once the gate would open. 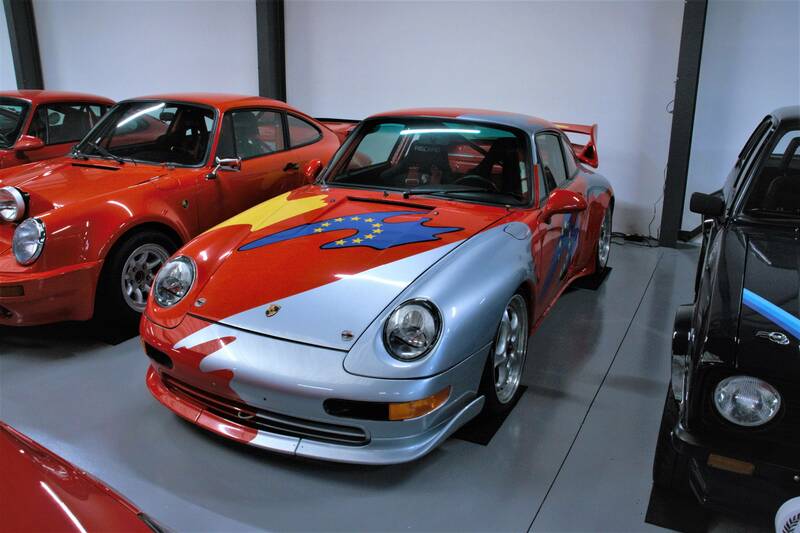 PCH Automotive is a reputed dealership for nearly new cars, classics and race cars with a large collection of Porsches. The company was founded in 1984 by Eric Henry, at the time a police officer selling classic cars in his spare time. As the business grew, his son Pierre-Cédric came aboard in the early 2000s to ensure continuity for the family-run business to this very day. 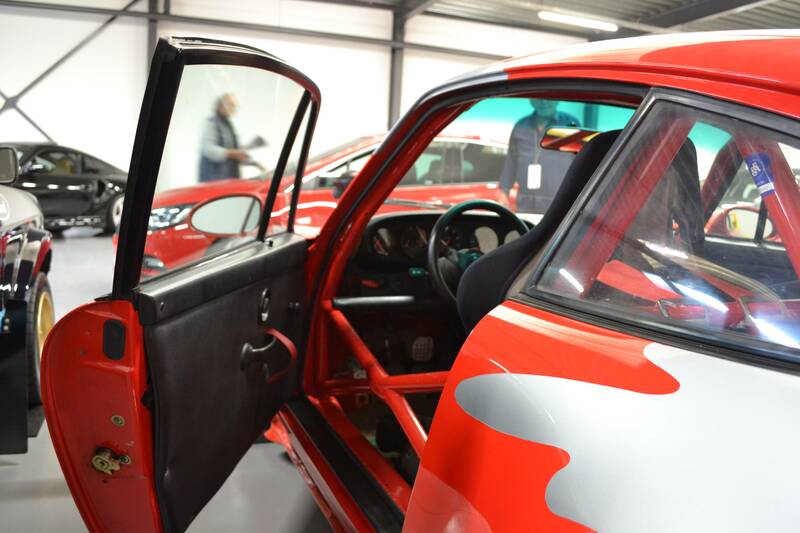 The Henry family’s passion for cars becomes instantly apparent when entering the PCH showroom: the first cars we encounter are a pristine Golf II GTI, a mint Beetle RSI and a wonderfully neat 928 S4. “We offer detailing and official maintenance services through our trusted network of local specialists.”, comments Pierre-Cédric Henry. Behind the cars in the main hall stands a wall decorated with the body panels of none other than a Le Mans Jaguar Silk-Cut XJR-6. 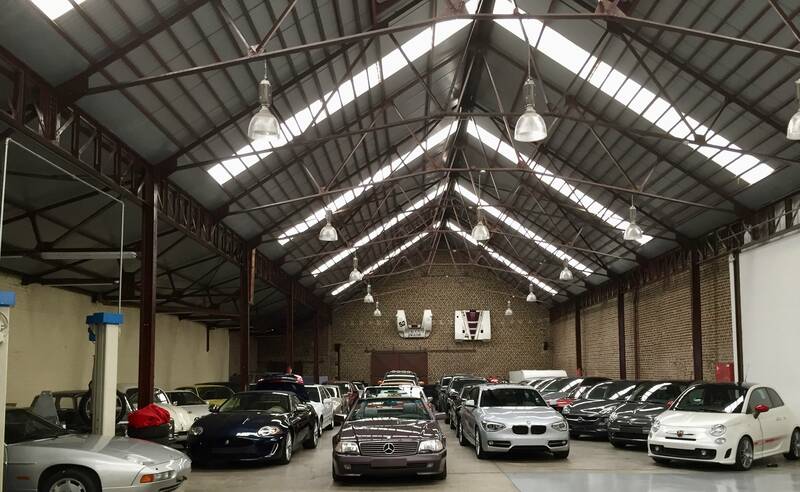 The place is instantly inviting, and resembles a car cave packed with sub-zero coolness. Eric Henry greets us and immediately invites us to “act as if we are at home”, and so we are welcomed to walk around and check out the cars. To the left side of the main hall is a secondary area housing the high-value cars. 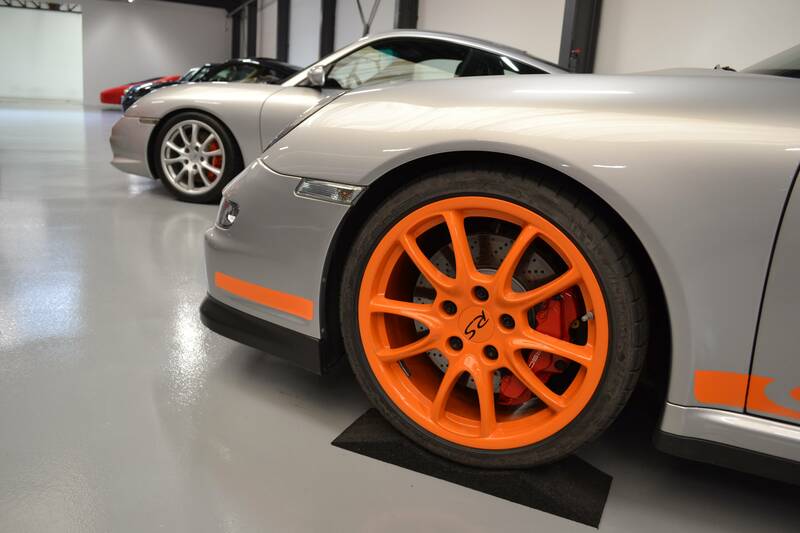 It does not take us more than 3 seconds to realise just how much Porsche is dominating this part of the collection. “We’ve always been very passionate about Porsche, my father and me. The brand has been a big part of our business at PCH from the very start.”, adds Pierre-Cédric Henry. On the left side are the road-going 911s, whereas on the right there are a few immaculate race cars to be spotted among the collection. 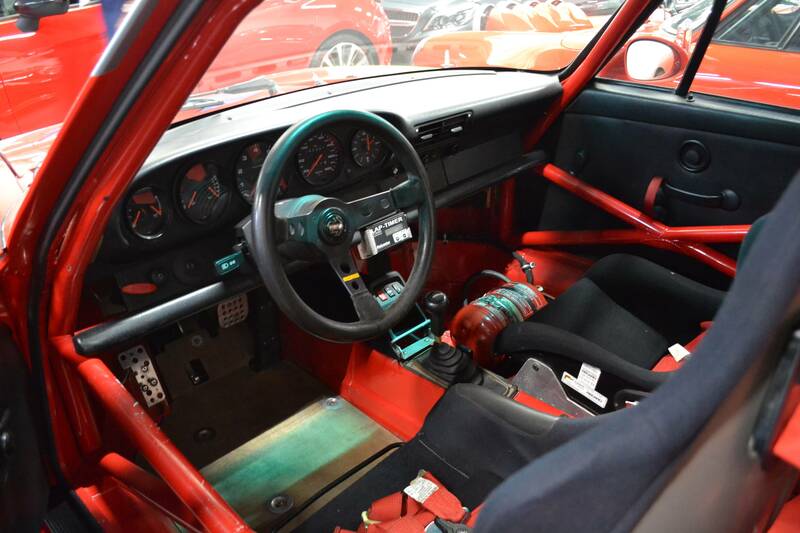 The first car to attract our attention is a striking 993 Cup in red with silver decals. 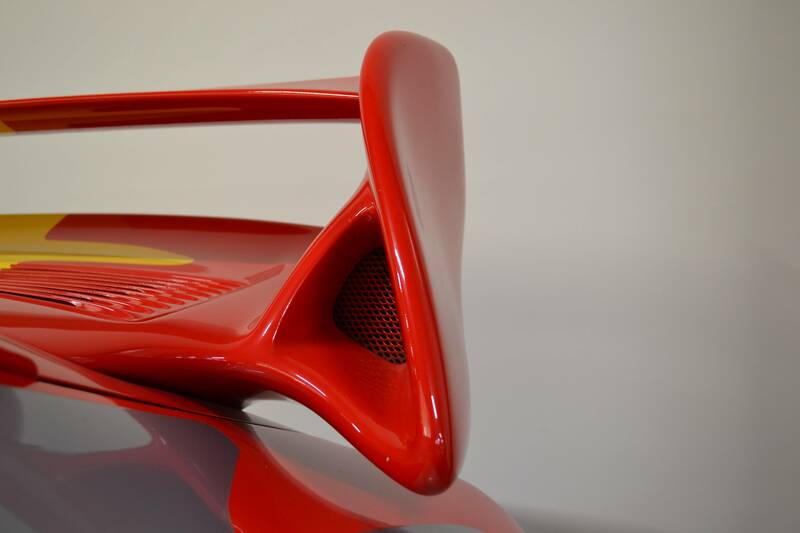 “This car is in pristine condition,” says Eric Henry “and has been around the track with none other than Ralf Schumacher behind the wheel.”. With little over 40,000 kilometers, this example experienced its fair share of track time to say the least. 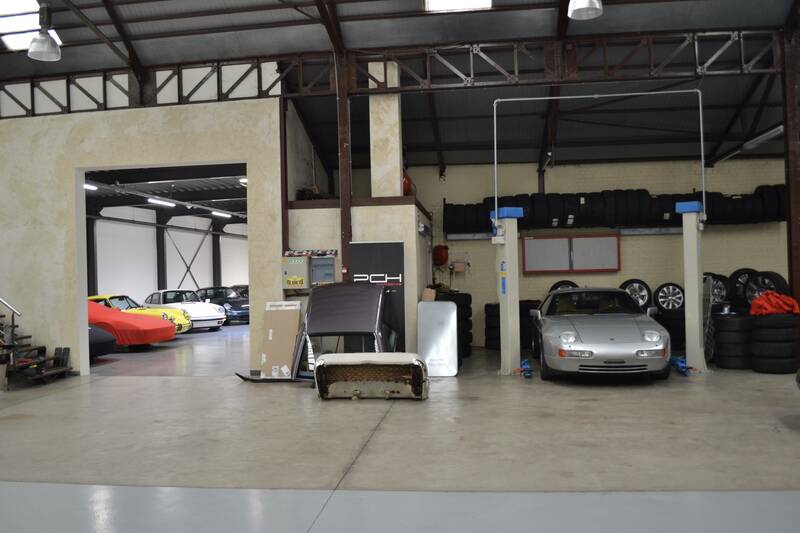 The 993 Cup cars have long sought their way to the classic 911 motorsports establishment. A 993 Cup was in a way a detuned version of the RSR, which together with the almighty GT2 Evo were taking the credit in endurance racing. The later 996 and 997 Cup cars further stole its thunder, making it relatively obsolete and initially not much sought-after despite of its rarity. Only 40 Cup cars were factory built to compete in the Supercup series of 1995, and it was the first one we had the honour to encounter in real life. 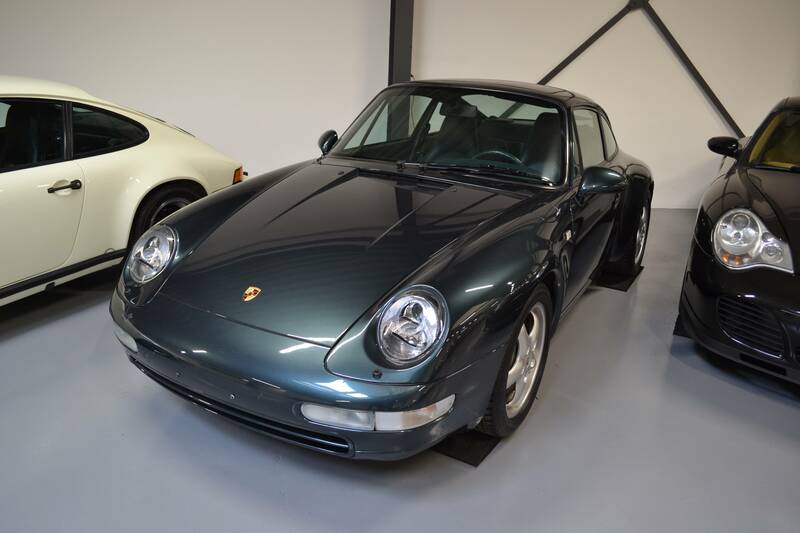 For those looking for a 993 track tool, this car offers history, pedigree and wonderful looks. Straight across the Cup car was another 993 that caught our eye. 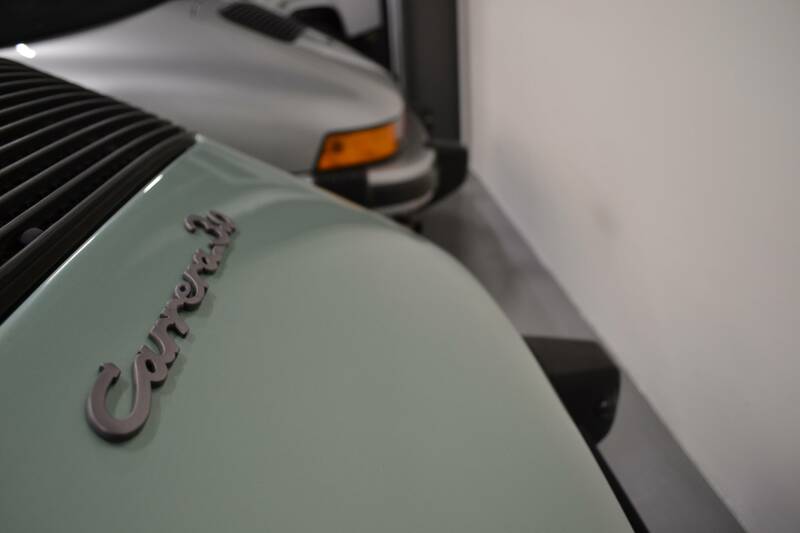 Admittedly, a 993 Carrera 4 hardly comes near the Cup car in terms of overall rarity, but this example finished in Aventurine Green (Aventura Grün) with only 62,000 kilometers just ticks all the boxes of a neat, daily classic 911. “At first we had some doubts about this one due to the color combination, but seeing it in the flesh makes it all that different.”, comments Eric Henry on the green-over-green spec. 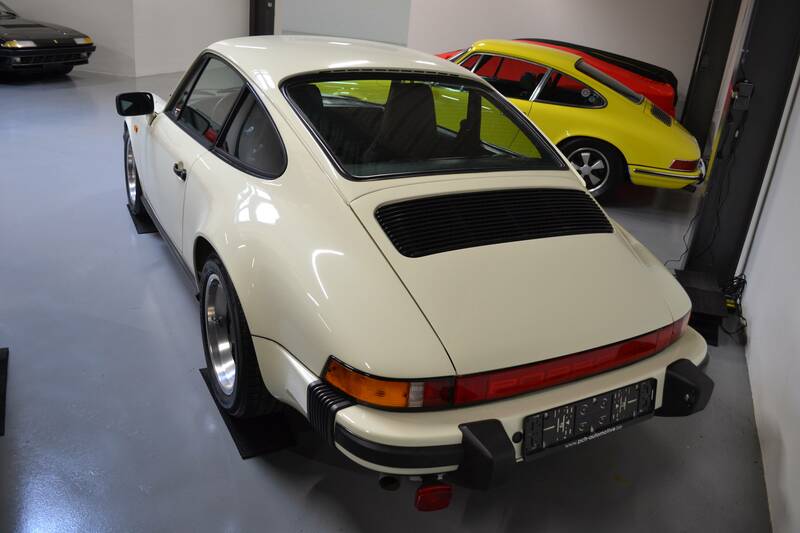 Another show stopper was a Chiffon White, matching numbers G Series Carrera 3.2L. This car was originally delivered in France, and has recently received a fully documented restoration from the ground up. 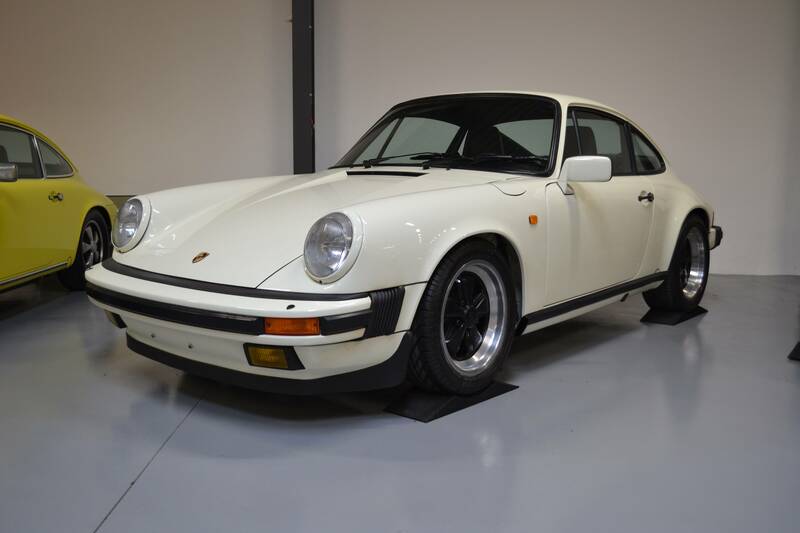 The rare Chiffon paint appears similar to Grand Prix or Carrara White on photo, yet in reality it shows much more of an ivory hue which is highly contemporary for an ’84 911. As far as G Series go, this must be one of the best examples we have encountered and certainly one of the top contenders in today’s marketplace. A must-check for collectors. 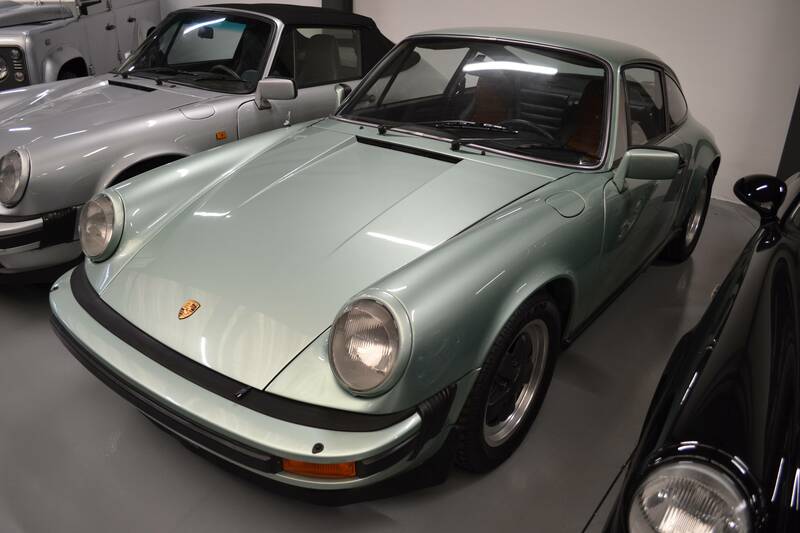 As if it couldn’t get any more contemporary, we laid eyes on an Ice Green Metallic G Series Carrera 3.0L at the back of the collection. This car has covered over 180,000 kilometers but has seen great care over the years and comes with certificate of authenticity. Its spec couldn’t scream anymore seventies to boot, with orange inner-seat elements complementing the all-black leather trim. 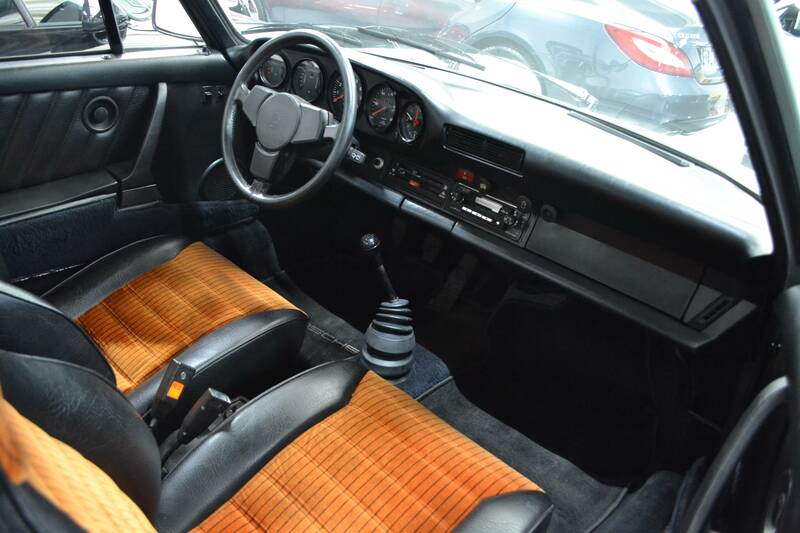 The Carrera 3.0L was only produced from 1976 to 1977, with production totalling at 3,687 examples only. But the Carrera 3.0L has more going for it than rarity alone. It shared the die-cast aluminum crank case of the mighty 930 engine - the Porsche 911 Turbo 3.0L G Series - minus the turbocharger. 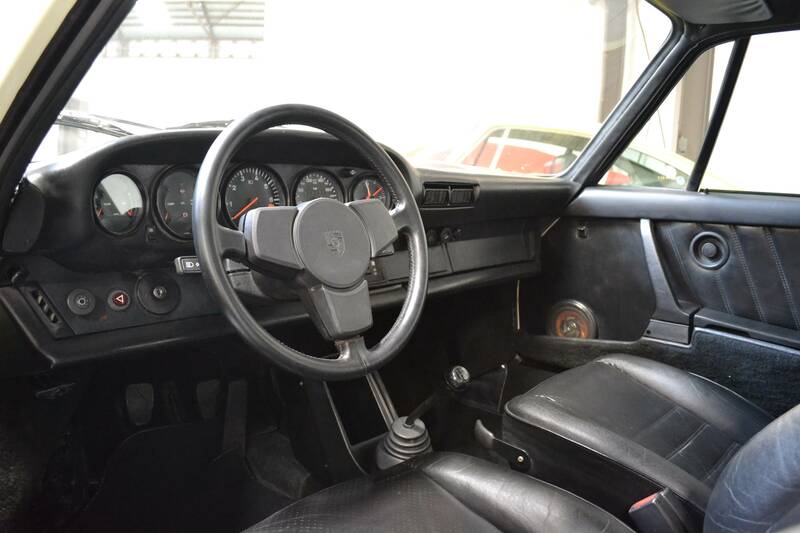 It also features the same 6-bolt flywheel and crank as the legendary 2.7L Carrera RS. This made the Carrera 3.0L a great performing 911 in its heyday: it delivered 200hp at 6,000rpm and 188ft/lb at 4,200rpm, rendering similar stats than its haloed 2.7L Carrera RS ancestor. These cars are rarely up for sale today, and it remains a mystery how much of the original cars are still out there. Check out each of these wonderful 911s in our classifieds section. The full collection of wonderful 911s on offer by PCH Automotive is available on their 911 Vintage profile page. Feel free to contact the 911 Vintage crew at info@911vintage.com if you are you a 911 specialist or dealership looking for exposure for you business. We are taking inquiries! Interclassics Brussels 2018 Our selection of 911s at Belgium's biggest classic car expo. Porsche's ultimate restomod: the 993 Turbo Project Gold Celebrating 20 years since the last-ever 993 left the production line, Porsche Classic has created the ultimate hommage to what many consider to be the greatest air-cooled 911. Enter the Porsche 993 Turbo Classic Series, an ultimate restomod project based on an original body shell but painted in Golden Yellow Metallic to match the 2018 991 Turbo S Exclusive Series. We take a detailed look at this unique 911. This was Techno Classica 2018 Despite fierce homeland competition Techno Classica did not disappoint this year. On the contrary. Lets take a look at some of the highlights from last weekend’s visit.